There is no information about his current health condition. 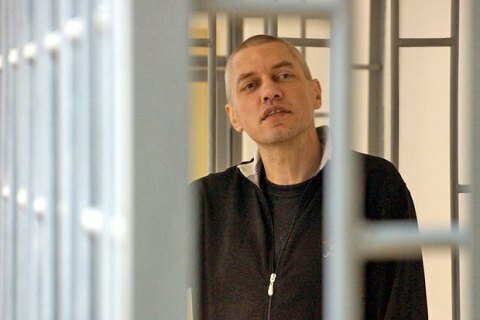 Ukrainian national Stanislav Klykh, who was sentenced to 20 years in prison by a Russian court for his alleged participatio in the Chechen war, is in a colony in Verkhneuralsk (Chelyabinsk Region, not far from Kazakhstan), lawyer Ilya Novikov has said on Facebook. "Stanislav Klykh was escorted to Verkhneuralsk. We do not for sure yet but most likely he is in the sadly known 'Verkhneuralsk Krytka'. It has such a list of celebrity prisoners that it should be recognized as a UNESCO site, but it does not mean that it is an easy place to serve a term. Nothing is known about Klykh's current condition. We hope to receive some information next week," he said. Klykh was known to have been sent to Chelyabinsk from Groznyy (Chechnya). On 26 May 2016, the Supreme Court of Russia's Chechnya sentenced Ukrainian nationals Mykola Karpyuk and Stanislav Klykh to 22.5 years and 20 years in prison respectively for their alleged participation in combat actions against the Russian federal troops during the first Chechen war. Karpyuk was arrested in March 2014, Klykh in August 2014. Karpyuk is held in Russia's Vladimir.